This blog will answer all your burning questions about exhaust system hand scraping and steam cleaning services. We hope it’s helpful! If you have any further questions about our services, or to request an estimate, simply call us at 800-700-FLUE or contact us online here. Our staff is ready and willing to assist you in English or Spanish when you contact us today. Let’s start with first things first. 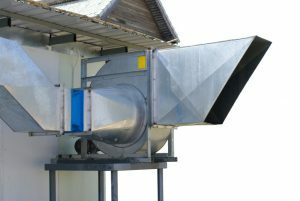 What is a flue? It’s an integral part of your commercial kitchen that removes the hot exhaust gases that are naturally created during cooking. What’s involved in hand scraping? Hand scraping your commercial kitchen exhaust system is really important because a clean system will be able to work efficiently. It’s accomplished by a person simply scraping the accumulation of grease from the walls of the exhaust system. This is an effective method for removing grease from your exhaust system, but it’s not the most thorough method, because there are certain areas of your exhaust system that are unreachable. Our technicians always strive to thoroughly remove grease from all areas of your exhaust system, but that ability is naturally limited. That’s where steam cleaning comes in. Steam cleaning your exhaust system is a much more meticulous process. During steam cleaning, our technician will set up the specialized equipment in your kitchen and then utilize high-pressure hot water to reach every nook and cranny of your exhaust system. This delivers impressive results and provides an absolutely thorough cleaning of every inch of your exhaust system. Do I need hand scraping and steam cleaning services? We recommend that commercial kitchen exhaust systems be hand scraped and steam cleaned at regular intervals to maintain maximum efficiency and prevent grease buildup (and resulting flash fires). A good general rule is that the average restaurant needs to have a flue cleaning every 3 months (4 times a year). Fast food restaurants and kitchens that do a lot of charbroiling or frying should be cleaned monthly. We recommend having your exhaust system hand scraped on a monthly basis and steam cleaned quarterly. Let us handle all your exhaust system cleaning needs. You’ll find that our technicians are always diligent and thorough, plus our prices are reasonable. The peace of mind you get from knowing that your exhaust system is always cleaned at regular intervals is fantastic. Sign up today by calling Flue Steam at 800-700-FLUE.